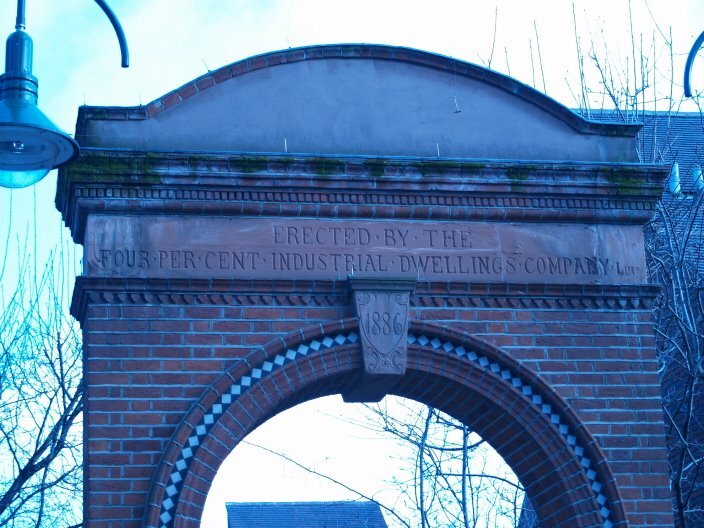 This archway stands today at the entrance to a modern housing development which stands on the site of what were once known as the rookeries, Flower & Dean Street and Thrawl Street, some of the worst slum districts in the whole of London. 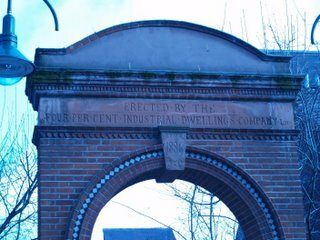 The arch is on Wentworth Street, directly opposite the entrance to George Yard, and as can be seen by the keystone, it was erected in 1886, two years before the Ripper murders began. It would have been one of the very last sights Martha Tabram saw before she turned and entered George Yard Buildings. In the last 117 years, the matter of whether or not Martha was a victim of Jack the Ripper has been debated endlessly. She is not included on the list of five "canonical" victims, but many have argued very persuasively for her inclusion. Her murder did not follow exactly the pattern of those to follow, but nonetheless was not a straightforward killing, thirty-nine stab wounds shows unusual savagery. Three weeks later the Ripper murders would begin in earnest, and the idea that there could have been two men in the district capable of such an act would be quite extraordinary. Personally I have always felt that Martha was a victim of Jack, and maybe not even his first. I am of the persuasion that Tabram was indeed a Ripper victim (and so was Elizabeth Stride). Sugden, Ogan and others have convinced me that she belongs on the list. The idea of 3 psychopaths roaming the streets of the East End killing prostitutes is too far fetched. Great blog. Have you read Patricia Cornwell's book on the subject? She makes a very strong case in naming Walter Sickert as the Ripper. Thanks for a fascinating and entertaining piece. Pity about the spammers and trolls.